Hilaire Belloc (1870-1953) was a larger-than-life character who is now best known for his Cautionary Verses but who also wrote fiction, essays, history, biography and huge numbers of letters. He was born in a village just outside Paris on the eve of the Franco-Prussian war. His father, Louis, was a French lawyer, his mother, Elizabeth Rayner Parkes, the English daughter of a Birmingham Radical. Belloc's combative nature was evident from an early age; his nickname as a child was 'Old Thunder'. As he grew up his fierceness in argument became legendary, H. G. Wells remaking that "debating with Mr. Belloc, is like arguing with a hailstorm." Following the death of his father in 1872, the family returned to Birmingham where Belloc was educated at Cardinal Newman's Oratory School. Although not legally obliged to do so, on leaving school, Belloc served a term of military service with the French army. Back in England, Belloc went to Balliol College, Oxford University where he became President of the Oxford Union, the University's debating society, and began to establish his reputation as a brilliant but intemperate speaker. Graduating with First Class honours, Belloc was aggrieved not to be offered a fellowship, a failure he put down to his Catholicism. Belloc's robust faith was the guiding force of his life, and he believed it to be central to the survival of Western civilisation, famously declaring "the faith is Europe and Europe is the faith". After Oxford he became friends with G. K Chesterton and George Bernard Shaw and these three, together with H. G. Wells, came to be known as 'The Big Four' of Edwardian letters. In 1902 he became a naturalised British citizen, a move which facilitated his involvement in politics. He stood as a Liberal candidate in the 1906 General Election, winning the seat of South Salford. Impatient with the government's lack of radicalism he stood as an independent at the next election in 1910, narrowing retaining his seat, but losing it when a second General Election was called later the same year. A one-time member of the Fabian Society, Belloc now moved decisively to the right, though he remained a political maverick, equally hostile to both unbridled capitalism and socialism . Belloc had married in 1897 and he and his wife, Elodie, had five children before her death in 1914. His Parliamentary career over, Belloc took on a huge workload as a free-lance writer, becoming editor of the political weekly Eye Witness which had a circulation of over 100,000. During the First World War he edited Land and Water, a journal devoted to the progress of the war. His son, Louis, a member of the Royal Flying Corps, was killed in action. Post-war a torrent of articles and books continued to pour from his pen, many critical of the modern world. In 1942 he suffered a stroke, not long after the death of another son in the fighting. He lived on until 1953 but his literary career was effectively at an end. His reputation since his death has suffered, largely because of his intransigent Catholicism and consequent antagonism toward other religions, notably Islam. He has also been charged with anti-semitism though the picture is more complicated on this point as Belloc often spoke out against the Nazis' persecution of the Jews. Though much of his output is now neglected, his name lives on through his poetry, his light verse in particular, which shows a less bombastic and wonderfully mischievous side to Belloc. 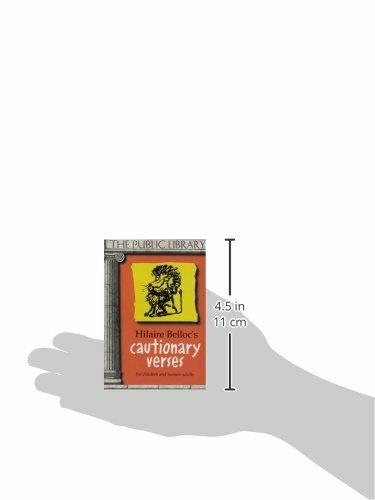 The Cautionary Tales (1939) with their mock-solemn parody of Victorian moral fables and gleefully gruesome dispatch of their protagonists (such as Henry King who met his end "chewing little bits of string") retain their charm and have influenced many subsequent writers, not least Roald Dahl. 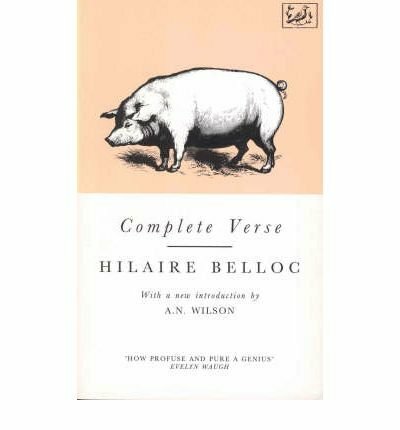 Unfortunately, Belloc didn't record any of these poems, but we do have him reading some of his best known pieces for adults. 'Tarantella' is a much-loved anthology poem, a virtuoso exercise in the creation of atmosphere through rhythm and rhyme. For both this and the equally dramatic poems 'The Winged Horse' and 'The Islands', Belloc employs a singing style, the exuberance of which seems entirely in keeping with this turbulent and complicated man.